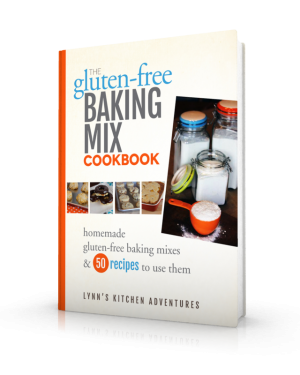 Welcome to GF Mixes, a website focused on the gluten-free lifestyle. We provide recipes, cooking and baking tip, as well as offering information about products and services we love and think you will too. This Disclosure Policy is our best attempt at informing you that information you see on our website may be due to compensation or other business relationships; that we reserve the right to edit comments and information provided by users and third-parties; and that any health or nutritional information provided is solely as a courtesy. In addition, while we may be enthusiasts of the products or services found on this website, it is up to you to use your best judgment and knowledge before buying or using anything you find on this website. In addition, even if specific safety measures or concerns are not presented you are still responsible for exercising safe and legal handling of any products or services you may acquire based on information received from this website. The owner(s) of this website may be compensated to provide opinion on products, services, websites and various other topics. In instances when GF Mixes may receive compensation for posts or advertisements, all opinions, findings, beliefs, or experiences on those topics or products are based on the experience of the writer and are true to the best of our knowledge. Any product claim, statistic, quote or other representation about a product or service should be independently verified with the manufacturer, provider, or party in question. GF Mixes is a participant in the Amazon Services LLC Associates Program, an affiliate advertising program designed to provide a means for sites to earn advertising fees by advertising and providing links to products or services available from Amazon.com. We also participate in other affiliate advertising programs to offer you products or services we think you may enjoy. By using one of our affiliate links to make a purchase you are helping to support this website so we may continue to provide you with information and resources. You will not pay more for the product or service if you were to purchase through on of our links. Any specific health claim or nutritional claims or information provided on the website are for informational purposes only. Nothing on the website is offered or intended to be a substitute for professional medical, health, or nutritional advice, diagnosis, or treatment. GF Mixes will occasionally include content that includes wine, beer, or spirits intended to be consumed by those of legal drinking age. This content is intended for those 21 and over. Always drink responsibly. All content, including photographs and videos, created by GF Mixes is subject to copyright restrictions. If you’d like to share any of our recipes, photos, videos, or articles, please do so through the share features enabled on the post. We have tried to make it easy for you to share on Pinterest, Facebook, Twitter, and other social platforms. In addition, we often have available the option to email or print the recipe for your personal use.